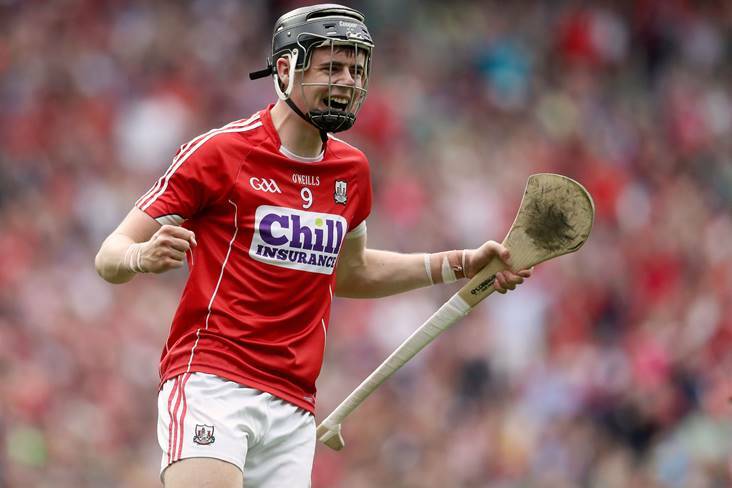 Charleville and Cork star Darragh Fitzgibbon. ©INPHO/Tommy Dickson. Cork star Darragh Fitzgibbon posted 0-6 as Charleville survived a late scare to beat Graigue-Ballycallan at Semple Stadium and qualify for an All-Ireland club IHC semi-final against either St Gall's or Oranmore-Maree at Croke Park next month. Fitzgibbon accounted for the winners' first four points, but Graigue-Ballycallan free-taker Conor Murphy was in unerring form at the other end with seven first half points as the Kilkenny men took a 0-9 to 0-7 lead into the break. An Andrew Cagney goal after Fitzgibbon's initial shot had been blocked propelled Ben O'Connor's charges into a 1-12 to 0-11 lead with 10 minutes remaining. However, they were left hanging on for the win after corner forward Aaron Brennan netted for Graigue-Ballycallan in injury-time. Charleville - C Collins; D Butler, J Meade, F Cagney; J Buckley, A Dennehy, C Carroll; J O’Callaghan (0-2), K O’Connor (0-1); D Casey, D Fitzgibbon (0-6, 2f), J Doyle (0-4); A Cagney (1-2, 0-1f), D O’Flynn, C Buckley. Subs: T. Hawe for D Fitzgibbon, M Kavanagh for J Doyle, PJ Copps for D Casey. Graigue-Ballycallan - C Hoyne; D Egan, B Murphy, T Ronan; C Flynn, E Egan, J Ryall; S Butler, G Teehan; J Roberts, B Ryan (0-1), C Murphy (0-9, 7f); A Brennan (1-2), E Brennan, S Ryan (0-1). Subs: K Egan for C Flynn, V Teehan for E Brennan, W O’’Connor for B Murphy.